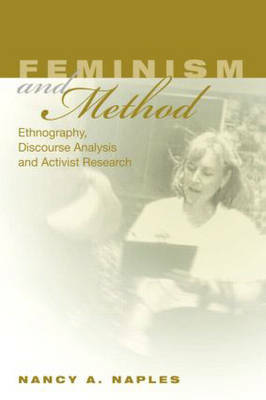 Naples draws on different research topics, such as welfare, poverty, sexual identity, and sexual abuse, to illustrate some of the most salient dilemmas of feminist research: the debate over objectivity, the paradox of discourse, the dilemma of "standpoint," and the challenges of activist research. By linking important feminist theoretical debates with case studies, Naples illustrates the strategies she developed for resolving the challenges posed be postmodern, Third World, postcolonial, and queer studies. "This is an exciting and brilliant book that transforms sociological method....This is frankly feminist, frankly critical, frankly committed to issues of social justice. It's committed also to an idea of research that reaches from people's own and necessarily divergent experiences into the forms of power that shape them....Women's studies has needed a research method and here is one that is wholly committed to feminist objectives and principles." "A stimulating, important, and accessible book for classroom use. Naples brings distinctive insights from her work in policy analysis and grassroots activism to her explorations of epistemological and methodological issues. She demonstrates how concerns for social justice can advance the growth of knowledge."